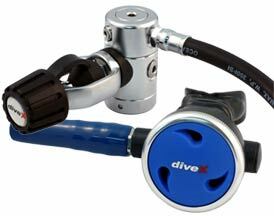 Sea Sport Regulators and Gauges - Divemar inc.
2 high pressure ports, 4 low pressure ports. High performance balanced 2nd stage. High grade silicone mouthpiece. ABS/Polycarbonate housing. Soft touch purge cover. High performance balanced 2nd stage. Neon yellow cover for maximum visibility. High grade silicone mouthpiece. Mini 2 and 3 gauge consoles. 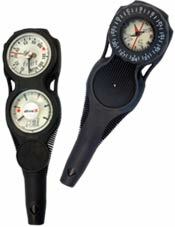 Depth gauge includes maximum depth indicator, glow-in-the-dark face, 220' maximum depth. 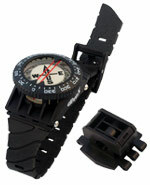 Compass has large bezel and double magnet for quicker and more precise reading. Includes optional hose mount. Side or top reading window, 360 degree rotating bezel, extra long wrist strap.